and includes two shaft bars for shedding. tension as the weaver weaves. 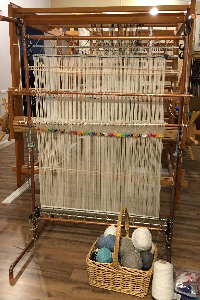 This loom breaks down flat for storage with or without the warp on the loom. Note: is a set of plans for a loom.